According to Summa Magazine, 2015 was consolidated as an exceptional year for Costa Rica’s tourism history. This activity is conceived as a development motor for the national economy, as its investments generate approximately 150.000 direct employments and 450.000 indirect jobs. This numbers represent the 26% of the total Costa Rican work force. 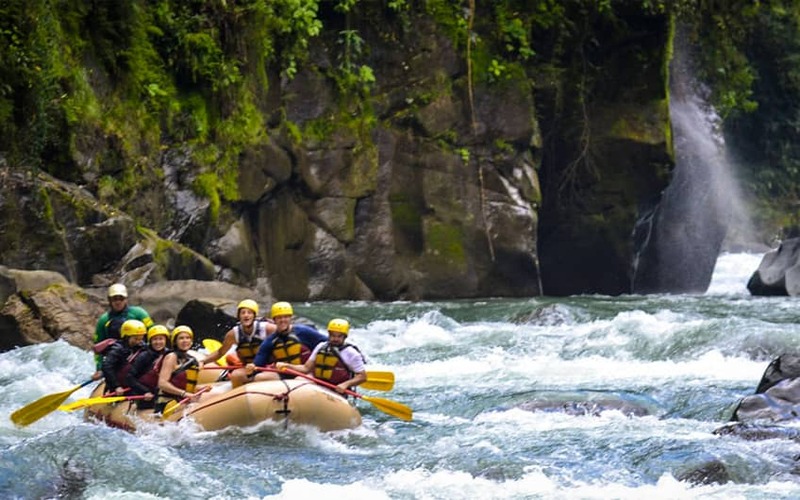 Costa Rica is a great destination for all those who are wondering to experience a real contact with nature as the same time that enjoy a remarkable service while having the great opportunity to treasure lifetime memories. The natural wonders of the country, the warmth of its people, the colorful biodiversity, its irresistible cuisine, and the wide variety of vacation packages are just some of the aspects why tourists are attracted for when choosing Costa Rica as its next vacation destiny. Last year more than 2,6 million people came to the country using all the entrance ports. According to Mauricio Ventura, Tourism Minister, this positive numbers show the efforts of the Costa Rica Tourism Board to promote the country as an internationally well-positioned destination. Last’s years international arrivals signified an increase of the 5,5% compared to 2014. Only considering the international flights to Costa Rica during last year, there were registered more than 1,8 million tourist arrivals, being the country’s main port of entry. The percentage of the arrivals by air is around the 70%, a very significant number, taking into consideration the volume of incoming visitors. As said by Ventura, the tourist industry in Costa Rica represents the 5,4% of the Gross Domestic Product (GDP) and the 29,6% of the total exports, as well as more than the 40% of the service exports. This turns the touristic industry into an indisputable leader over other sectors as communications, construction, insurance, financial services, information and IT. The median stay of visitors who spend their vacations in Costa Rica represent one of the most extensive of the world. The average quantity of days in the country is superior to 13 nights and the approximate investment is about US $1400. In 2015 the tourism industry registered more than US $2800 million in foreign exchange, a growth of almost the 9% compared to 2014. During past year, the priority markets showed an incredible increase into the country’s economy. Europe and United States are the major emitters of tourists to Costa Rica. And according to Ventura, that was the first time that the arrival of one million of North American tourists was accounted using all the different ports. That represents the 40% of the total international arrivals registered. The data reveals that there was near 400.000 European tourists travelling to Costa Rica last year by all the ports; of them 300 thousand entered by the airway. Europe is the second priority travel market for the country and now it is expected a considerable increase of tourists travelling from this continent to the country, due to the new flights operated by the European airlines British Airways and Air France. Last April 27th, British Airways opened the direct flight to Costa Rica between London and San José, while Air France will be inaugurating the route Paris – San José on November 2nd. Due to this new flights, and also for the efforts made by the ICT and all the tourist sector, it is expected to have an important increase of incoming tourists for the next months, exceeding the numbers showed during 2015.